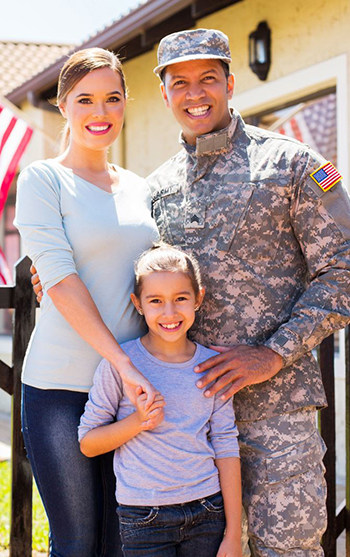 Your military service can save you money when buying or selling a home. We have worked with Military members and their families for decades and we are honored to serve you. Let Berkshire Hathaway HomeServices Nevada Properties handle your next move with Rock Solid Service! 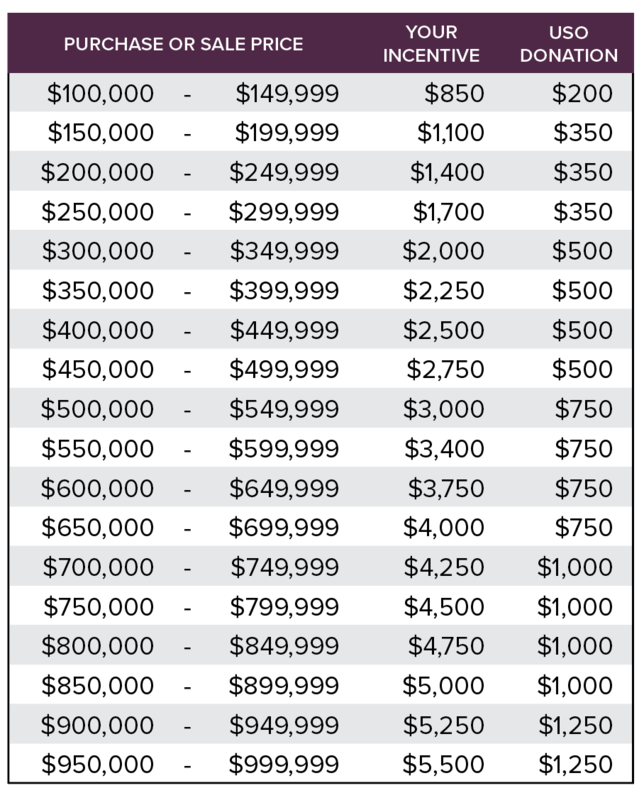 As a Buyer or Seller of real estate, your service can be rewarded with rebates when buying or selling a home. If you are a veteran, active or retired member of the military, you are eligible to participate in the MILITARY Advantage program. 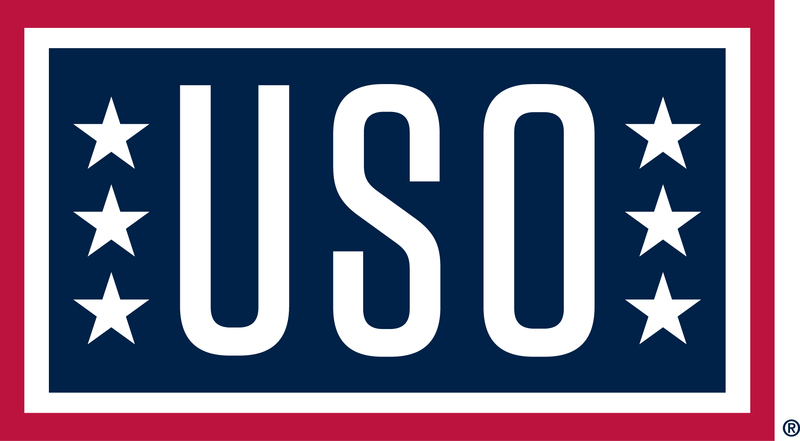 Civilian military employees can also participate using the HOME Base exception. Immediate family members are also eligible (parents, siblings, children). This program can be used multiple times with no time limit. You can receive a Credit at closing, based on sale price by enrolling in our Military Advantage program. BEFORE contacting a real estate agent, contact us to enroll. You can request your favorite Berkshire Hathaway HomeServices Nevada Properties realtor or you’ll be matched with a local real estate expert. 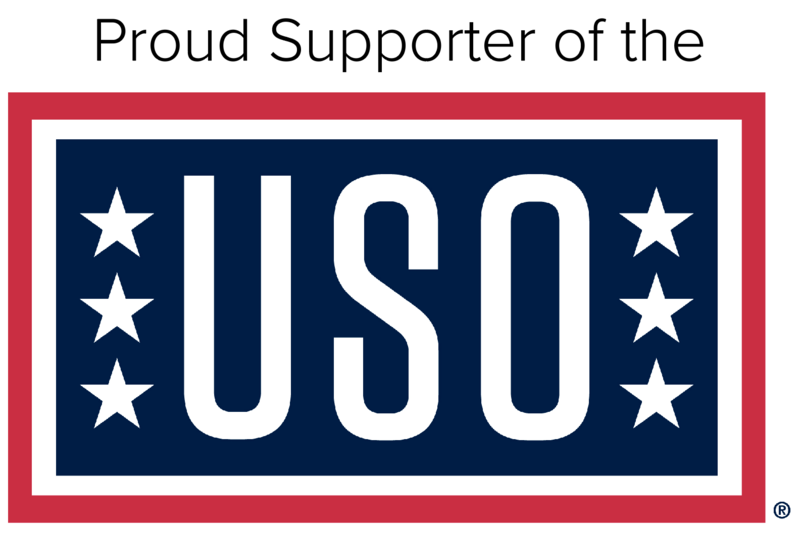 At closing, you will receive your credit, and we will make a contribution to the USO as well! *Rebate is subject to lender approval for buyers using a loan to purchase. Where applicable, subject to state law. View Terms and Conditions for a list of restricted states. Proof of current or past military service. Must register with the Berkshire Hathaway HomeServices prior to purchasing or listing a home. Credits will not be paid on transactions involving a relocation management company with third party referral fee. Contact us for more information or enroll! To take advantage of these benefits, you must be registered in our Nevada Military Advantage program and purchase through your assigned or approved agent.